We Are Call Of Duty Black Ops Sniper Community.Hazard Sniping is a PC Gaming Community That Welcome Mature, Friendly and Team Oriented Players. We Host 3 Black Ops Servers S&D Sniper Server FFA Sniper Server Tourney Server /connect 108.61.112.16:3084 /connect 173.199.105.73:3124 /connect 108.61.112.157:3124 Check Servers status[hazardsniping.com]There is Always An Admin To Make Sure The Rules Are Being Done! A Place To Enjoy Sniping And Fair Play. This Group Is For All The Snipers Out There. Join Our Sniper Only Servers And Show Us Your Play Style! VIP is earned by playing actively and keeping the server active! Need Help, Or Have A Question? Go to our site Or Start A Group Discussion.Frequently Asked Questions (Click on Question): How to Dispute a ban? 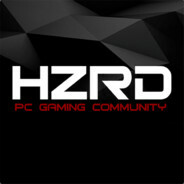 [hazardsniping.com] Hzrd is invite only , How To Get invited? [hazardsniping.com] Can I put my HZRD tags on now? No. Being part of this community group does not mean you are a member of Hazard Clan.